This guy heads off to SEMA and manages to point out nearly all the minor build fails on the custom rides. It’s not really a secret that SEMA builds aren’t always 100% ready for the road but a lot of shops and builders thrash to get their display rides “close enough” for the show, hoping nobody notices, with plans of finishing the details when the show is over and they have time to get things ironed out. Of course, there’s always going to be “that guy” who catches these little details, some of which are admittedly more than just minor problems, and calls them out. While he may be right, there’s always a little bit of leniency for show builds, especially for SEMA, as everybody waits to the very last second to build their rides for the show to make sure they can jump on the latest trends and accessories for the biggest show of the year. We can’t really fault the guy for calling these problems out though, because a couple of these could end up causing major problems if they aren’t addressed before putting these rides on the road. The most glaring issue we saw was the “bro truck”, y'all know we don’t need to define that term, with the airbag-holding the suspension up a few inches away from the gas tank. Not a major deal, except, if the airbag were to collapse, the suspension would drop far enough to impact the tank, a potentially catastrophic problem that would almost certainly result in the truck burning to the ground. Things like that cannot be left to chance, as it could not only affect the driver and passengers of this truck but any other car on the road nearby if things go wrong. 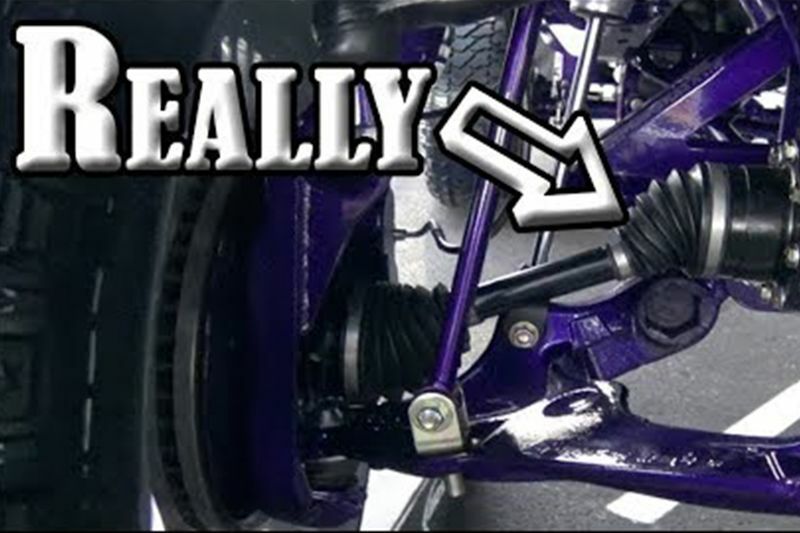 The rest of the issues are largely cosmetic, although the axle angle on that one truck is dangerously off and could cause some issues too. While we would all love for these builds to be 100% complete and road-worthy, that’s probably not ever going to be the case, and guys like this will always make sure the issues are pointed out for all to see. Video: The Old Top Gear Trio Has Been Spotted In A Lifted Merc, Filming For Their New Amazon Show!